Used Jaguar F-Type Review - 2013-present | What Car? What's the used Jaguar F-Type sports like? Expectations were high when the Jaguar F-Type Convertible arrived in 2013. This, after all, is the spiritual successor to the legendary E-Type. Perhaps most important of all, then, is that the F-Type is a brilliantly proportioned piece of design, whether in the convertible bodystyle we are concentrating on here or the coupé that followed a year later. The F-Type’s almost as appealing on the inside, too, where aside from the slightly fiddly infotainment system it barely puts a foot wrong. As well as plenty of room for two tall adults, you’ll find a logical layout of the controls, an excellent driving position and theatrical touches such as air vents that rise from the top of the dash on electric motors. On the downside, the boot is miniscule, with barely enough room for a couple of overnight bags (particularly if you choose a model with the optional spare wheel), while in-car storage is also lacking. This is not a car for grand touring. As a sports car, though, the F-Type is considerably more convincing. With the roof up, it’s actually fairly quiet, while lowering it takes only 12 seconds and can be done at speeds of up to 30mph. 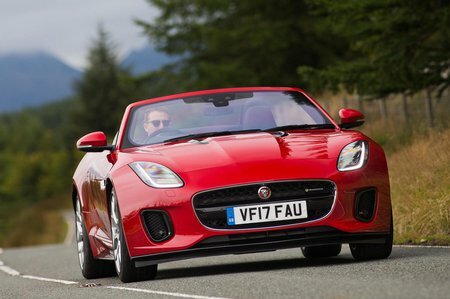 Given how good Jaguar’s engines sound, you will want that roof down. From launch, the rear-wheel-drive F-Type kicked off with a supercharged 3.0-litre V6 producing either 335bhp or 375bhp. The latter is known as the S variant and comes with a limited-slip differential, adaptive suspension and a louder exhaust. The two models are capable of getting from 0-62mph in 5.1sec and 4.8sec respectively. Alternatively, you can buy an F-Type with Jaguar’s supercharged 5.0-litre V8, which has a thumping 488bhp and can get from 0-62mph in just 4.3sec. That, mind you, is only if you can keep it pointing in a straight line, because in V8 guise the F-Type can be a real handful to drive. On the plus side, the steering is accurate and reasonably communicative, and the eight-speed automatic gearbox is swift to respond. Not only that, but the F-Type also rides reasonably well for a sports car. While not as sharp in terms of handling as a Porsche Boxster or 911, it's still great fun to drive. 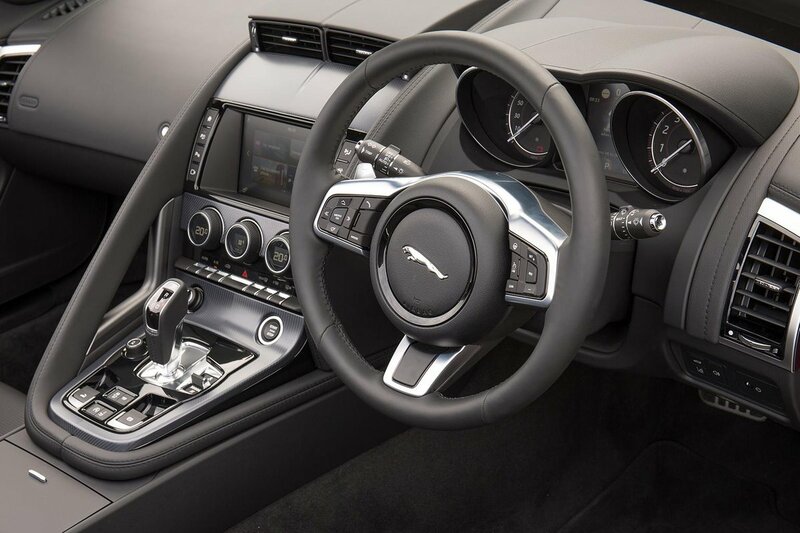 As you’d expect, Jaguar has added to the F-Type range as time has gone on, with four-wheel drive becoming standard for V8 models for 2015 (and optional on the V6 S) and a six-speed manual gearbox also being introduced. There’s even a more powerful four-wheel-drive F-Type SVR with 567bhp and a 0-62mph time of 3.5sec and, from 2017, an entry-level 2.0-litre petrol engine for those who prefer low running costs over outright performance.